Back in December 1999, players are able to obtain a YOSHIRA Mew by trade at Toys R Us stores in the United States, if they were within the first 1500 customers and also caught the Mew on their special "Peel & Win" sticker. While the DVs are all identical (and not all 15), it can be seen that the Trainer IDs seem to be generated in ascending order. Huge thanks to @Deoxyz for following up on this and getting it! (AND BY EXTENSION, CANNOT BE TRANSFERRED TO GEN 7 AND ONWARD). In the Fall of 1998 Nintendo Power held a contest to “Win Mew for your Pokémon collection!” 151 winners of this contest would be given the chance to mail their cartridge into the Nintendo Power Headquarters and receive it back with a brand-new mew on their game save. Contest winners were notified by mail by 2/28/1999 that they had won the contest, making this the earliest known Mew distribution in the west. More can be read on the original thread. via a peel sticker, that gave players a 1/5 chance of getting the Mew. The first 1,500 winners (per country) that went for the redemption will be able to receive Mew on their copy of Pokemon Red, Blue or Yellow. Around the same time frame, magazine Nintendo Power also did a giveaway to the first 1,000 applicants. Various other information regarding this can be found here. This is a video of @RupeeClock's collection of the hyper rare Mew! through the official Nintendo magazine they were running at the time. 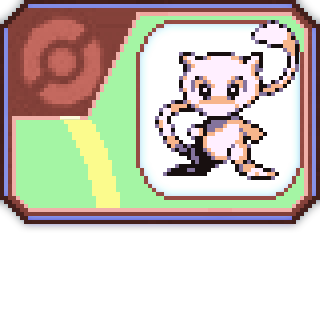 They had participants send in their cartridge, and then they put a Mew on the cartridge. and then a general distribution later on with the same method. and managed to get his cartridge to back up the save and contribute the Mew online. 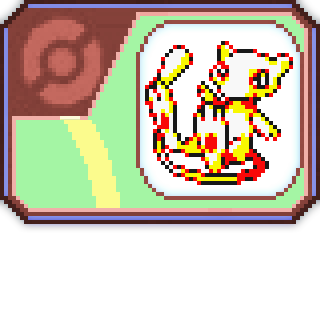 While this Mew is already trained, I've attached a version which I reverted it to an "untrained" state. Big thanks to @suloku and Michael for this historical Mew find! The story behind this preservation effort is a pretty amazing one. However, that doesn't mean we can't enjoy playing these Pokemon in our games. Now, it's time to for a trip down memory lane, fellow players. from the US Mall Tours for Pokemon Trading Card Game (1999) and Pokemon Stadium / Pokemon Movie (2000). and then in 2000 for the Pokemon First Movie and Pokemon Stadium launch. You would insert your Gen1 cartridge into a machine, while promo staff would fill out a paper "Certificate of Authenticity" for your personal Mew. The Trainer names are LUIGE or LINKW. The Trainer ID is generated sequentially from the Mew distribution machine. The first Mew from a machine is 00001, the second 00002, 00003, so on. The LUIGE Mews came from a Pokemon TCG event in 1999, where Tripred made friends with a Nintendo rep named Jeremy Hepworth. He traded these two, numbers 00012 and 00014 to us. The story as Tripred remember it was that the machines were scheduled to go on tour but had technical difficulties. He had snagged these two (and the certificates of authenticity) during some testing runs. The LINKW Mews came from a Summer 2000 Mall Event in Arlington, TX promoting Pokemon Stadium and the 2000 movie. They had four of the machines running simultaneously for a huge line of people. Once the lines died off as Tripred went through the machines and got 12 of them. @suloku wanted to know if Tripred remembered anything about the Mews, like trainer ID or stats. He is documenting as much as he can about all of the different events and their Pokemon. Luckily, what Tripred had for him is much, much better. Back in the late 90's I worked for a KB ToyWorks store. Tripred's weekend duties included playing Pokemon TCG with kids, and promoting Pokemon in all ways. Supported by Wizards of the Coast with tons of materials, it was a blast. During that gig, Tripred ended up buying a save backup cart for his Game Boy, and started cloning these event Mews for the kids. Tripred found six of them on a Blue save, and found another six sitting in Pokemon Stadium 1. And the last two were in a box on Stadium 2. He was able to shuffle all of the Mews to one Stadium Cart, and through much trickery, get them onto a fresh Pokemon Yellow save. Using a Retron 5, copied the save from the Pokemon Yellow cart onto my SD card. Now Tripred gifts these Mews to Suloku, and to all of you. Tripred hopes these Mews provide useful information, thank you for reading, and please let me know what kind of information or data you pull from the save! Big thanks to tripred and suloku!